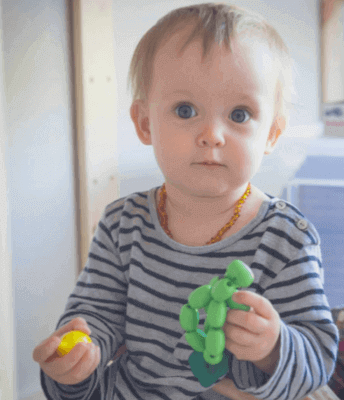 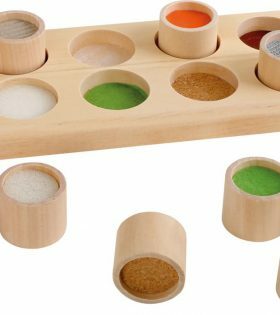 Children will enjoy learning arithmetic with this stamp set made of wood. 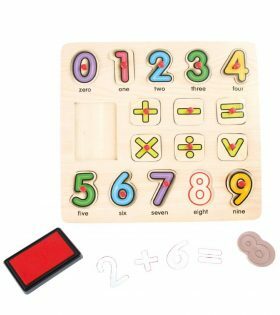 Different sums can be made with the numbers one to nine, and with the red stamp pad the numbers and signs are even easier to read. 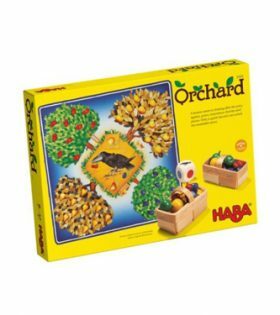 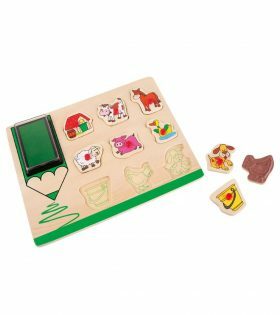 This fun Farm Stamp and Puzzle set from Legler is the perfect combination of logic and creativity. 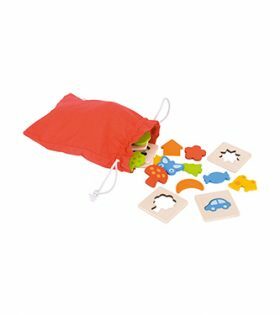 Each set features 9 puzzle pieces. 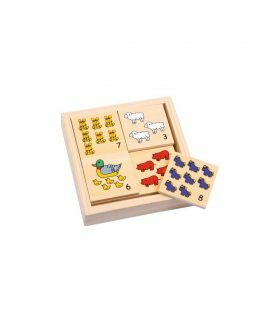 A fun educational toy containing 20 wooden cards with animal illustrations and numbers. 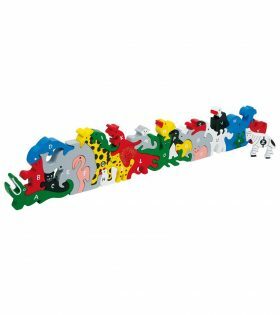 A unique wooden animal puzzle that teaches children the alphabet and numbers. 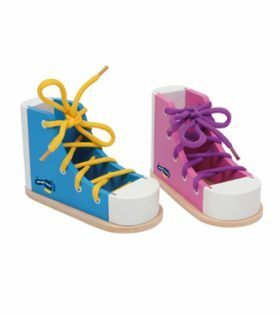 Legler?s Tangram for 2 set puts young brains to the test as they use different shapes to recreate 10 silhouette motifs each. 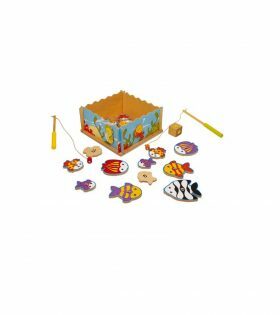 An exciting fishing game with a twist consisting of two fishing rods, a dice and a variety of fish.